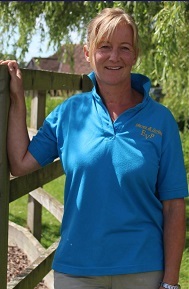 Claire has worked at the practice for the last 17 years, originally starting with Colin Bond when the practice started out at his home. Claire has developed the role over the years, undertaking all the nursing procedures and inpatient care, but she also undertakes more of the pharmacy work and legislation. Claire is married and has two children and still finds the time to ride her thoroughbred Georgie. Leanne joined the practice in September 2013 to assist Claire in the ever evolving role of Groom and Nursing Assistant. 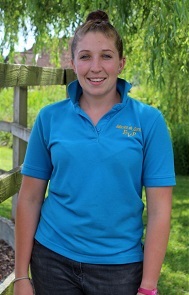 Prior to joining the practice Leanne was a travelling dressage groom, travelling all over the continent and has a wealth of knowledge in animal husbandry. Glen joined the practice last year when Kate moved over to work in the office. Prior to joining Mayes and Scrine, Glen was a professional rider, riding and schooling many horses including being yard rider for Chris Burton, 4* Australian event rider. 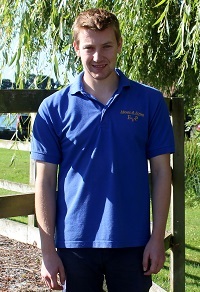 Glen has extensive experience with handling a variety of horses and has fitted into the team very well.